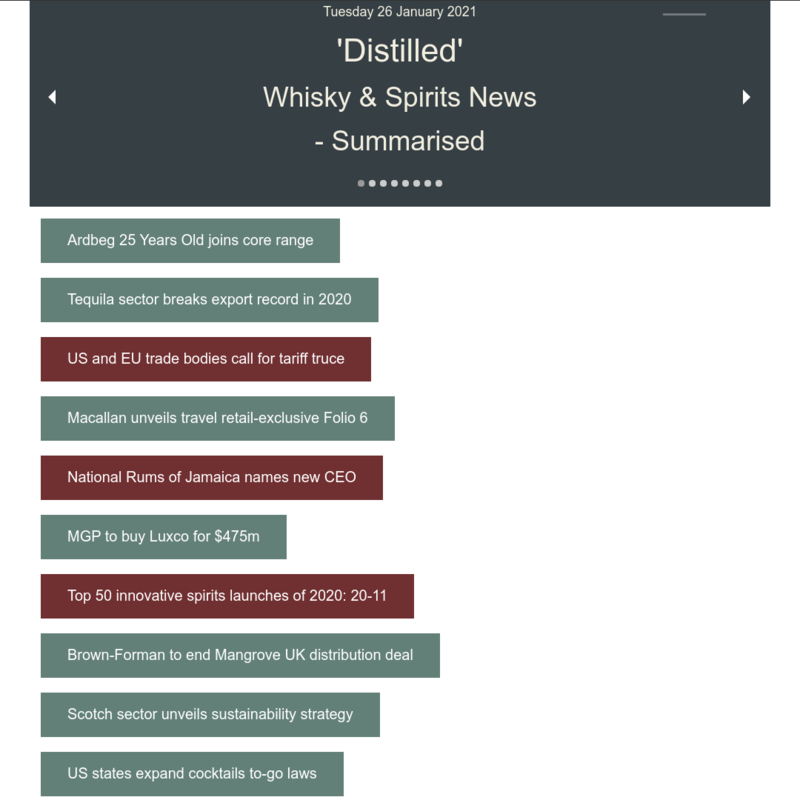 Single Lowland Malt Scotch Whisky. Single Islay Malt Scotch Whisky. Single Highland Malt Scotch Whisky. You can buy this fine whisky here. 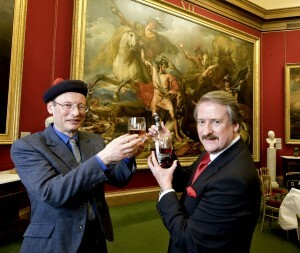 A unique gathering of Clan supporters and whisky aficionados’ came together at the National Gallery of Scotland in Edinburgh to launch the new Dalmore Mackenzie. Underneath the shadow of the famous Scottish painting; ‘Fury of the Stag’, the first few bottles of a new edition of The Dalmore Mackenzie were unveiled and enjoyed. Only 3,000 limited edition bottles of the legendary highland single malt are being released to mark a new era in the distillery’s long affiliation with The Mackenzie Clan, and to help raise much needed funds for this famous Scots family. The Mackenzie family, owners of The Dalmore distillery for almost a century, provides the inspiration for The Dalmore’s iconic stag head logo and its motto “I Shine, Not Burn” which is also the clan motto. The launch celebrates the single act of courage that an ancestor of Clan Mackenzie made when saving King Alexander III in 1263 from being gored by a stag, a scene that is depicted in the painting. The star of the show will be this iconic piece of art, quite literally, as not only will the largest painting in the gallery (5.4m x 3.3m) take pride of place at this event, it will also be projected on to the National Gallery itself for one night only, so that the whole of Edinburgh can appreciate its brilliance in an entirely new way. The partnership aims to raise funds to help refurbish and maintain Castle Leod and to support a range of activities organised by The Clan Mackenzie Society of Scotland & The UK. According to The Dalmore’s master distiller Richard Paterson this is the first step of a long-term commitment, and the brand is hoping to raise a seven figure sum in the next 10 years to help protect this important piece of Scottish history. 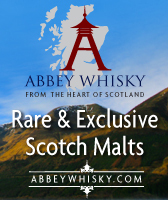 He added: “Whether you are a Mackenzie or not, with only 3,000 bottles available globally, this is your chance to own a little piece of Scottish history. Each limited edition bottle will be individually numbered and is adorned with the Clan and the brand’s iconic Royal stag formed in molten metal. All purchasers are entitled to claim a limited edition print of the famous painting personally signed by the head of the Clan himself who continues to reside at Castle Leod. The Earl of Cromartie and chief of the clan, John Mackenzie, says; “As the head of the Clan I speak for all Mackenzie’s to say that we are really excited to be part of this special event which brings to life this iconic painting in more ways than one, celebrating a piece of history that forms the foundation of our joint heritage, as well as the dawn of a new era in our continued partnership with the distillery. 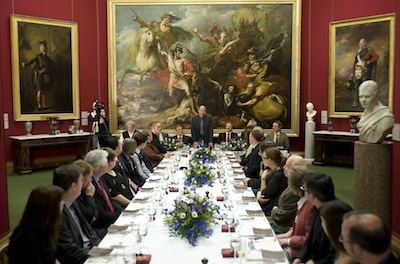 In 1786 Benjamin West, historical artist to King George III, commemorated Mackenzie’s encounter with the stag in a vast painting, commissioned by Francis Humberston Mackenzie. The painting remained in the Mackenzie family seat of Castle Leod until 1952, and now hangs in the Scottish National Gallery in Edinburgh (www.nationalgalleries.org ). A commanding and impressive sight, the painting is huge at 5.4m * 3.3 m in size and is situated in the very first viewing room in the gallery. Castle Leod in Strathpeffer (near Inverness in the Highlands of Scotland) is the Home of the Chief of the Clan Mackenzie and Seat of the Clan Mackenzie. The Society (www.clan-mackenzie.org.uk ) organises and attends a variety of events each year including the Strathpeffer Highland Games in August. 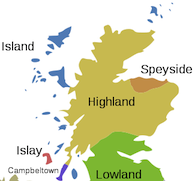 They are always looking for new members in the UK and from overseas from not only Mackenzies but also any Septs of the Clan, which are listed on their website. This year the Society is hosting the 2010 Clan Mackenzie International Gathering at Strathpeffer, 2-8th August.